His Divine Grace A.C. Bhaktivedanta Swami Prabhupada (1896-1977), founder-Acharya of the International Society for Krishna Consciousness, is the extraordinary person who dedicated his life to teaching the world about Krishna consciousness, ancient India’s most noble message of spiritual wisdom. In 1965, at the age of 69, on the order of his spiritual master Srila Bhaktisiddhanta Saraswati Thakura, representing a line of teachers dating back to Lord Krishna Himself, Srila Prabhupada sailed from India to New York to share Lord Krishna’s message. He brought with him a trunk of books, $7 in change, and the firm faith that the holy name of Krishna would transform the hearts of people he would meet. 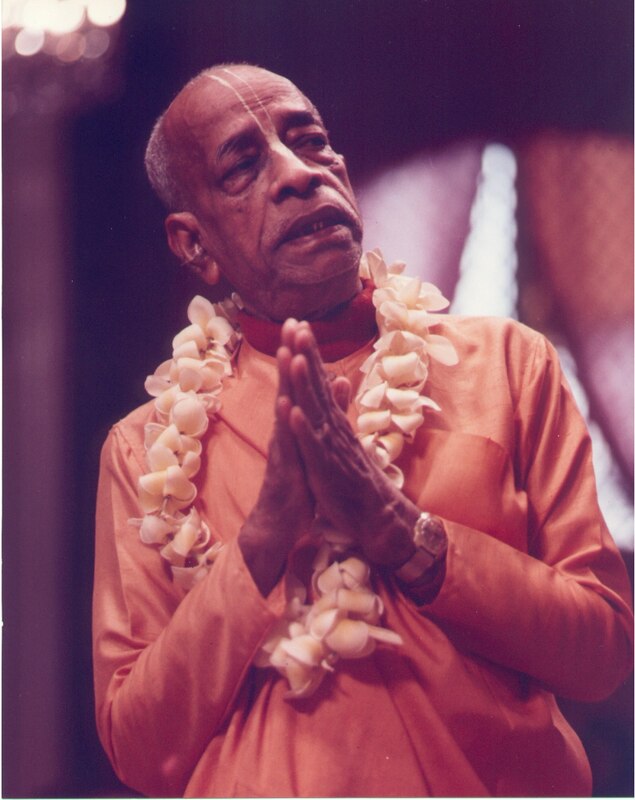 In the years that followed, he founded the International Society for Krishna Consciousness (ISKCON), traveled and taught throughout the world, opened more than 100 temples and inspired thousands of devotees. He wrote over forty volumes of translation and commentary on such classics as Srimad-Bhagavatam (Bhagavata Purana), Chaitanya-charitamrita, and Bhagavad-gita. He wrote not only as a scholar but as a consummate practitioner, teaching by the example of his life. Throughout his works, Srila Prabhupada’s mood was to convey the natural meaning of the scriptures without far-fetched interpretations, giving us an authentic rendition of the Vedic conclusions on such important topics as the purpose of human life, the nature of the soul, consciousness, and God.